Hydrogen vs Electric Cars – Which Is the Best? With an increasing amount of headlines and column inches given over to climate change, air quality and our own carbon footprint, many Londoners – both private residents and commercial fleet operators – are rethinking their transportation situation. Petrol and diesel engines (especially the latter) are widely acknowledged as one of the biggest sources of urban pollution, so it’s only logical to explore greener alternatives. The advent of the electric vehicle (EV) has made huge ripples in the transport industry, with almost 15,000 plug-in EVs registered in London by May 2018. That’s a massive increase from just five years previous, when the number was less than 1,500. At the same time, hydrogen vehicles have enjoyed a surge in popularity of late and 180 hydrogen-fuelled vehicles are currently being rolled out across the private sector this year in London, Paris and Brussels, with the Metropolitan Police and Green Tomato Cars both adding a significant number of Toyota Mirai to their fleets. But between electric and hydrogen cars, which is better? What’s the difference between an electric vehicle and a hydrogen fuel cell electric vehicle? It might sound like a joke at a scientists’ comedy night, but the question is an important one for concerned citizens and fleet operators. By way of introduction, a battery electric vehicle (BEV) is a vehicle that runs entirely on a battery and electric drive train, and recharges by plugging into an external source of electricity. Like all electric vehicles, BEVs can also recharge their batteries through regenerative braking: the vehicle’s electric motor actually assists in slowing the vehicle and recovers some of the energy normally converted to heat by the brakes. As is to be expected, both kinds of EV are far better for the environment from a tailpipe perspective, releasing no harmful emissions into the atmosphere during their operation. Of course, both do involve emissions at other stages in their lifecycle, both at the development and construction stage and in the creation of the electricity used to power them; and there is also particulate matter in the form of brake and tyre dust. It’s generally agreed that BEVs produce fewer emissions than FCEVs because the electricity is taken directly from the national grid and stored in the car’s battery, while an FCEV must first generate hydrogen from which electricity is then created. This adds an extra step into the process which decreases their overall efficiency. What’s more, the initial cost of an FCEV is far higher than a BEV, while there are also far more BEV charging points than hydrogen refuelling stations (HRS) available to drivers. On the other hand, hydrogen cars do enjoy a number of benefits over their plug-in counterparts. Generally speaking, an FCEV can have a range of up to three times that of a BEV, while refuelling times (FCEV) are much quicker than charging times (BEV). Therefore, depending upon the specific needs and circumstances of the individual or business in question, there are certainly occasions when a hydrogen vehicle might be more attractive than a plug-in EV. 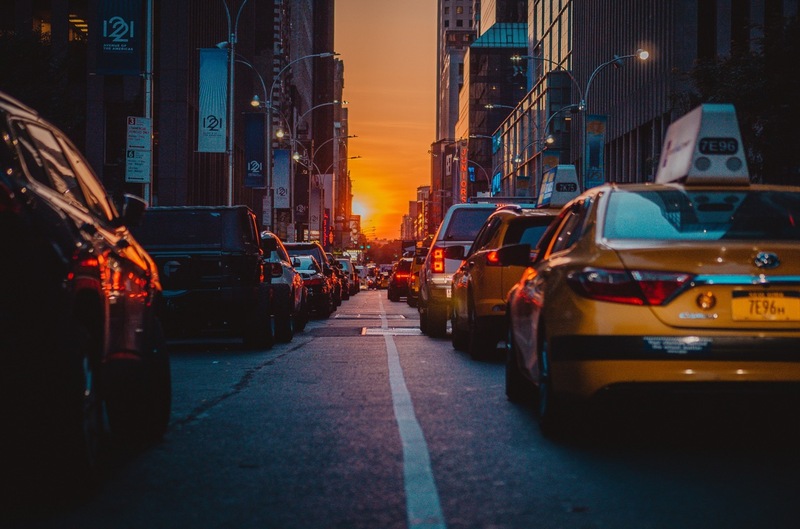 When it comes down to it, private vehicle owners and fleet operators in London will only adopt new technology if it makes sense financially and logistically, regardless of their environmental principles. In monetary terms, it’s a big ask to spend an additional £10,000 (let alone £30,000) on an electric vehicle over a petrol (or hybrid) equivalent. From a practical perspective, it doesn’t matter how much the vehicle costs – it has to be on the road, operating as part of a fleet. But more is needed, much more. There should be tax and other incentives for companies at the forefront of pioneering new technology which can help entire industries and cities to tackle the massive issues of climate change and air quality. There should also be special treatment for special vehicles. Some parking and bus lane exemptions would be an obvious starting point in the delivery and minicab sectors especially – all the more so as they would also help reduce congestion. Finally, a dedicated charging and refuelling infrastructure, which is being rolled out for London’s black taxi EVs but not the private hire industry, is the most critical gap. The addition of 50 new Toyota Mirais to the Green Tomato Cars fleet illustrates our dedication to cleaning up the environment, one journey at a time. We now boast the largest number of low- and zero-emissions vehicles of any private hire company operating in London and beyond, making us a great option for the environmentally-minded Londoner looking to get around the city quickly and efficiently. For more information on our ethos, or to book your next journey with us right away, get in contact today.